"Plus" gauge for improving hand strength, an alternate feel or balancing tension between guitars. Round wound with nickelplated steel for distinctive bright tone. Environmentally friendly, corrosion resistant packaging for strings that are always fresh. Made in the U.S.A. for the highest quality and performance. EXL110+, with its 10.5 gauge high E, is the ideal "step up" string set for players who are moving up from 10 to 11 gauge sets. Additionally, it's great for balancing tension between various scale length guitars. 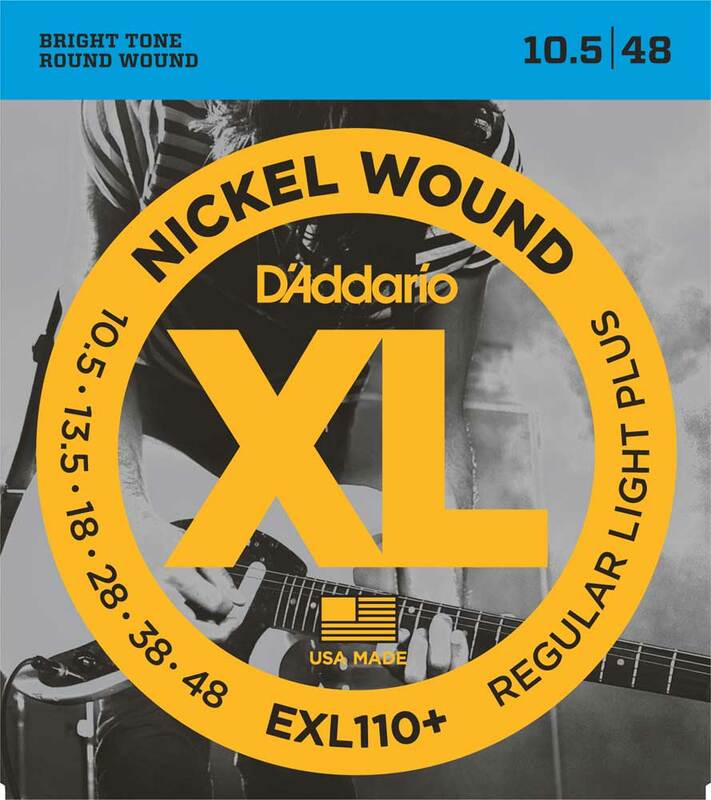 If you play 10s on a 25 1/2" scale guitar, try EXL110+ for your shorter scale length instruments to maintain more consistent feel and playability.